As a premiere Exchange Server Consulting Firm, Dioguardi Consultation Group is here to support your business. Looking to upgrade Microsoft Exchange or need critical support for your Microsoft Exchange Server environment? Do you require Exchange Server emergency support? Our MS Exchange Consultants are poised to assist, with Exchange server problem diagnostics and as-needed support services. Microsoft Exchange Hosted Services now makes financial sense for many organizations. Exchange Hosted Services frees your organization from maintenance, updates, backups, and disaster recovery planning for a critical component of your operation. As a certified reseller and Microsoft Partner, you can leverage our expertise to migrate your current mail from any other email source. In this step, we will review your current environment, including the Windows domain, network and SMTP architectures. Any necessary changes or problems that may cause undue risk for the migration will be discovered over the course of the assessment. E-mail Server Archiving & Storage Assessments, are also conducted prior to making recommendations on system configuration. These are developed based on performance results and the number of anticipated users. This process is designed to gather information on current usage and data retention as well as gather usage metrics for servers and storage and network traffic. Our Exchange Server consultants will analyze business requirements and map them to Microsoft Exchange Server capabilities. Then, the physical and logical design of the Exchange Server architecture will be defined along with the major tasks that will take place over the course of the installation, upgrade or migration project. If required, the service team will also review the current message environment, existing domains and the network architecture. We also install and configure Microsoft Exchange Server software and all relevant Microsoft Service Packs and Hot Fixes. All client connections to the server and mailboxes will be verified. Our Exchange Server consulting team will test concepts that may include customized applications, testing new versions and backup of the production environment. Based on the results of the testing, the logical and physical designs of the Exchange Server architecture will be updated along with any special implementation activities that are required. Our Microsoft Exchange Server consulting team offers prudent support plans targeted to meet the needs of help desk personnel or IT professionals, including on-site and telephone support. Complete documentation and basic training will be conducted for the ongoing maintenance of the system. Solution, Deployment, Flexibility and Choice – Exchange Server offers new, flexible deployment options, which allows you to deliver powerful productivity tools to your users, in a way that best fits your business or technology needs. Simplified High Availability and Disaster Recovery – Exchange Server introduces a simplified approach to high availability and disaster recovery, to help you achieve new levels of reliability and reduce the complexity of delivering business continuity. 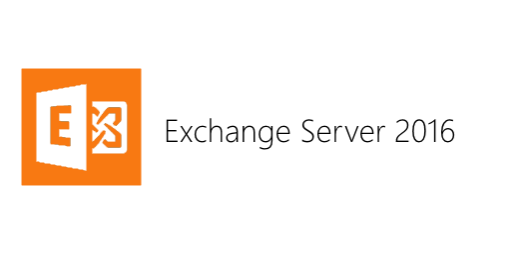 Ease Administration and Lower Help Desk Dependency – Exchange Server provides new self-service capabilities to help users perform common tasks without calling help desk. – Exchange Server offers an enhanced universal inbox experience, which provides your users with access to all of their business communications from a single location. – Exchange Server adds new productivity features which help your users organize and prioritize the communications in their inboxes efficiently. – With Exchange Server, users can receive their voice mail messages in their inbox with text preview. – Exchange Server delivers new integrated archiving functionality to help simplify compliance and discovery. Safeguards for Sensitive Information – With centrally managed and enforced information protection and control capabilities, Exchange Server makes it easy to encrypt, control and moderate your company’s communications. – Exchange Server actively helps protect your communications through built-in defenses against viruses and junk e-mail, and support for an array of third party security products. Microsoft Exchange Server Migration Assistance – every version of Exchange Server that has been released has had new functions and features added in, you may want to take advantage of the new features in this new release. Our Exchange Server Migration Consultants will help you to upgrade from any previous version to the newest one. DCG is an Exchange Server Consultancy that adheres to industry Exchange Server best practices to ensure your local and remote mail users get the scalability, reliability, security and performance they require. Contact our Microsoft Exchange Server consulting team for rapid support or a free assessment of your business needs.